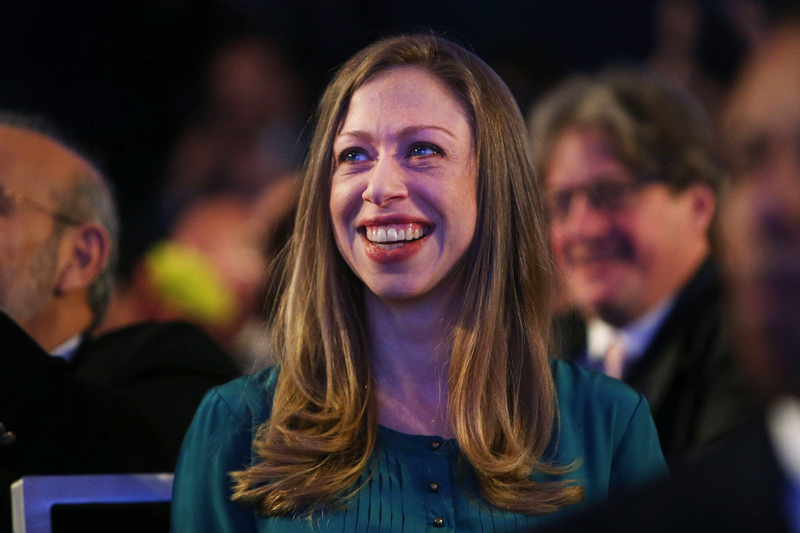 Chelsea Clinton will join her mother and father in the published author club — but no, she's not planning a memoir. (It's way better.) Clinton's new book It's Your World, aimed at children aged 10 to 14, will "inform and inspire" young people to "change the world," according to publisher Penguin Young Readers. I wanted my daughter to grow up in a world where kids are informed about what's happening, feel empowered to make a difference and ultimately take action on issues they care about. Now, being a mom, somehow I care even more intensely about trying to make that happen. That's the age [10 to 14] when I started tuning in more to issues I cared about and trying to make a difference. I loved the book 50 Simple Things Kids Can Do to Save the Earth and remember wishing there were books like that on other issues I cared about. This book is my attempt to do that for kids today. Jill Santopolo, executive editor of Philomel Books, reportedly reached out to Clinton after she spoke out regarding her father, Bill Clinton's, heart surgery on The Daily Show, hoping she'd be interested in writing a book for children. It's Your World is set to release September 15, and all proceeds will be donated to several different charities.